I have been thinking today about the hornet. There are three biblical references. Ex. 23:28: And I will send hornets before you, which shall drive out the Hivite, the Canaanite, and the Hittite from before you. Deut. 7:20: Moreover the LORD your God will send the hornet among them until those who are left, who hide themselves from you, are destroyed. Josh. 24:12: I sent the hornet before you which drove them out from before you, also the two kings of the Amorites, but not with your sword or with your bow. Each of these passages refer to God’s intervention on behalf of Israel during the conquest of Canaan. There is no doubt that when hornets pursue you, that you get out of their path asap. 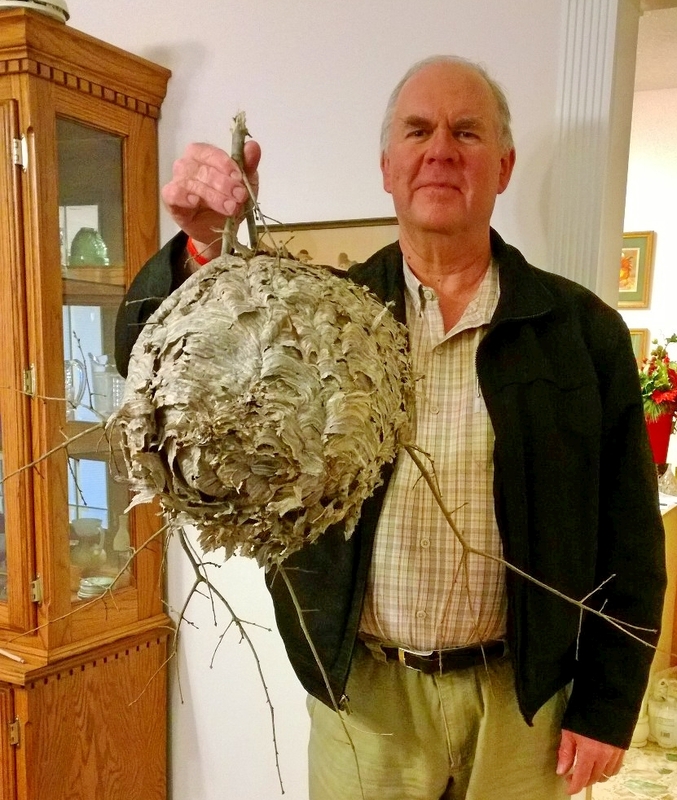 This afternoon I brought down a hornet’s nest that was situated perhaps 20 feet up in a tree. The nest is fascinating, and a testimony to the work of a wonderful Creator Who has well equipped His creation. Hornet’s nest. Photo by Linda Mauldin. BTW I did not climb the tree. I shot the limb in two at that point just above my thumb. You are currently browsing the Leon's Message Board blog archives for the day Friday, January 3rd, 2014.